THIS WEBSITE IS NO LONGER IN USE AND HAS OUTDATED INFORMATION. PLEASE DO NOT CONTINUE INTO THIS SITE. VISIT THE NEW SITE FOR UP TO DATE HAMSTER CARE. Hi! Our names are Erin and Dan, we're from South Wales in the U.K and are the founders of Bobtail Hamstery! 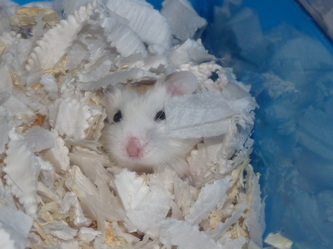 The biggest part of our lives are our hamsters. 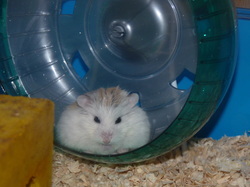 We have 9 hamsters at present, 6 Roborovskis, 1 winter white, 1 Chinese and 1 Long Haired Syrian. 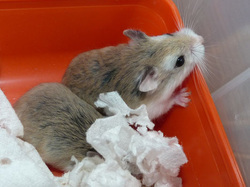 In December 2010 two beautiful creatures came into our life, Cookie and Truffle a pair of female agouti Roborovskis and from then we fell in love with the world of hamsters! 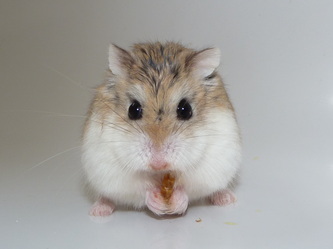 Now we dedicate most of our time to caring for the hamsters, attending shows and helping others to find better ways of giving their hammies long, love-filled lives! 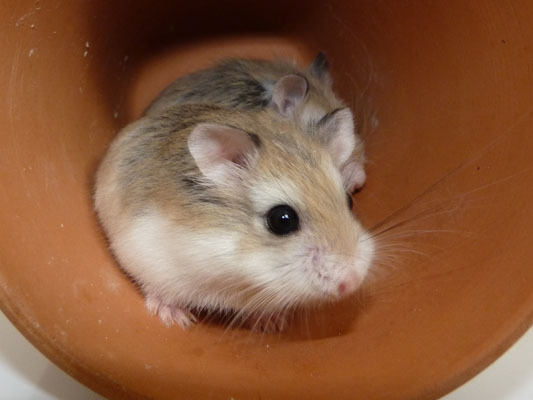 Very soon we plan to begin a breeding programme with agouti Roborovskis with the intention to help make strong, healthy lines of Robos more widely available to other hamster enthusiasts. In the future we wish to contribute to the breeding of White Faced Robos and in the far future, Platinum Robos. Correct hamster care is one of the most important parts of owning hamsters and I hope that my site can help to educate both new owners and those who already have experience in caring for their beloved pets. Thank you for visiting our website and please feel free to contact us, make suggestions, ask questions and leave a quick message in the guest book! Have fun guys! Want The Best Advice about Hamsters? 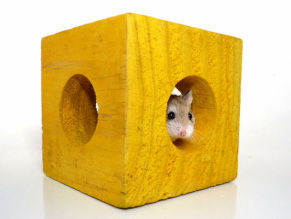 Click the button on the right to be taken straight to one of the top hamster forums on the internet. Care, Advise, Product Reviews and hundreds of friendly people and furry pets to meet!